You buy or trade stocks, bonds and mutual funds. Perhaps you invest in a 401(k) plan. You've come for information and education about options and how they can be used as part of your short or long term investment objectives. Did you know you may be using a form of options as part of your everyday life? Do you pay a premium every quarter for house, auto, and medical insurance? You have purchased insurance as a safeguard against a fire in your home, a crash in your car, or large medical bills. Some investors use options on stocks or cash indexes to protect and insure the value of their portfolios. A major advantage of options is their versatility. They can be as conservative or as speculative as your investing strategy dictates. Options enable you to tailor your position to your own set of circumstances. Much like stocks, options can be used to take a position on the market in an effort to capitalize on an upward or downward market move. 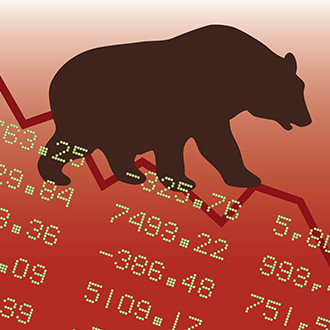 Unlike stocks, however, options can provide an investor the benefits of leverage over a position in an individual stock or basket of stocks reflecting the broad market. At the same time, options buyers can also take advantage of predetermined, limited risk. Conversely, options writers assume significant risk if they do not hedge their positions. Options are contracts in which the terms of the contract are standardized and give the buyer the right, but not the obligation, to buy or sell a particular asset (e.g., the underlying stock) at a fixed price (the strike price) for a specific period of time (until expiration). To the buyer, an equity call option normally represents the right to buy 100 shares of underlying stock, whereas an equity put option normally represents the right to sell 100 shares of underlying stock. 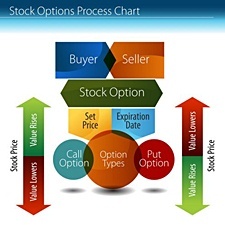 The seller of an option is obligated to perform according to the terms of the options contract - selling the stock at the contracted price (the strike price) for a call seller, or purchasing it for a put seller - if the option is exercised by the buyer. All option contracts traded on U.S. securities exchanges are issued, guaranteed and cleared by the Options Clearing Corporation (OCC). OCC is a registered clearing corporation with the SEC and has received 'AAA' credit rating from Standard & Poor's Corporation. The 'AAA' credit rating corresponds to OCC's ability to fulfill its obligations as counter-party for options trades. The price of an option is called its "premium." The potential loss to the buyer of an option can be no greater than the initial premium paid for the contract, regardless of the performance of the underlying stock. This allows an investor to control the amount of risk assumed. On the contrary, the seller of the option, in return for the premium received from the buyer, assumes the risk of being assigned if the contract is exercised. In accordance with the standardized terms of their contracts, all options expire on a certain date, called the "expiration date." For conventional listed options, this can be up to nine months from the date the options are first listed for trading. There are longer-term option contracts, called LEAPS, which can have expiration dates up to three years from the date of the listing. American-style options (the most commonly traded) and European-style options possess different regulations relating to expiration and the exercising of an option. An American-style option is an option contract that may be exercised at any time between the date of purchase and the expiration date. Conversely, a European-style option (used primarily with cash settled options) can only be exercised during a specified period of time just prior to expiration. The buyer of an equity call option has purchased the right to buy 100 shares of the underlying stock at the stated exercise price. Thus, the buyer of one XYZ June 110 call option has the right to purchase 100 shares of XYZ at $110 up until June expiration. The buyer may do so by filing an exercise notice through his broker or trading firm to the Options Clearing Corporation prior to the expiration date of the option. All calls covering XYZ are referred to as an "option class." Each individual option with a distinctive trading month and strike price is an "option series." The XYZ June 110 calls would be an individual series. The buyer of a put option has purchased the right to sell the number of shares of the underlying stock at the contracted exercise price. Thus, the buyer of one ZYX June 50 put has the right to sell 100 shares of ZYX at $50 any time prior to the expiration date. In order to exercise the option and sell the underlying at the agreed upon exercise price, the buyer must file a proper exercise notice with the OCC through a broker before the date of expiration. All puts covering ZYX stock are referred to as an "option class." Each individual option with a distinctive trading month and strike price is an "option series." The ZYX June 50 puts would be an individual series. If you anticipate a certain directional movement in the price of a stock, the right to buy or sell that stock at a predetermined price, for a specific duration of time can offer an attractive investment opportunity. The decision as to what type of option to buy is dependent on whether your outlook for the respective security is positive (bullish) or negative (bearish). If your outlook is positive, buying a call option creates the opportunity to share in the upside potential of a stock without having to risk more than a fraction of its market value. Conversely, if you anticipate downward movement, buying a put option will enable you to protect against downside risk without limiting profit potential. Purchasing options offer you the ability to position yourself accordingly with your market expectations in a manner such that you can both profit and protect with limited risk. Buying an XYZ July 50 call option gives you the right to purchase 100 shares of XYZ common stock at a cost of $50 per share at any time before the option expires in July. The right to buy stock at a fixed price becomes more valuable as the price of the underlying stock increases. You can exercise your option and buy the underlying XYZ stock for $50 a share for a total cost of $5,350 (including the Option premium) and simultaneously sell the shares on the stock market for $5,500 yielding a net profit of $150. You can close out your position by selling the option contract for $550, collecting the difference between the premium received and paid, $200. In this case, you make a profit of 57% (200/350), whereas your profit on an outright stock purchase, given the same price movement, would be only 10% (55-50/50). The profitability of similar examples will depend on how the time remaining until expiration affects the premium. Remember, time value declines sharply as an option nears its expiration date. Also influencing your decision will be your desire to own the stock. If the price of XYZ instead fell to $45 and the option premium fell to .875, you could sell your option to partially offset the premium you paid. Otherwise, the option would expire worthless and your loss would be the total amount of the premium paid or $350. In most cases, the loss on the option would be less than what you would have lost had you bought the underlying shares outright, $262.50 versus $500 in this example. Put options may provide a more attractive method than shorting stock for profiting on stock price declines, in that, with purchased puts, you have a known and predetermined risk. The most you can lose is the cost of the option. 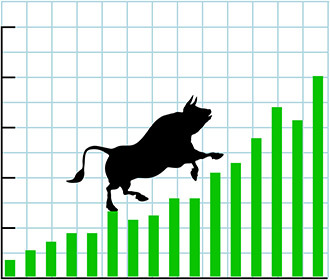 If you short stock, the potential loss, in the event of a price upturn, is unlimited. Another advantage of buying puts results from your paying the full purchase price in cash at the time the put is bought. Shorting stock requires a margin account, and margin calls on a short sale might force you to cover your position prematurely, even though the position still may have profit potential. As a put buyer, you can hold your position through the option's expiration without incurring any additional risk. Buying an XYZ July 50 put gives you the right to sell 100 shares of XYZ stock at $50 per share at any time before the option expires in July. This right to sell stock at a fixed price becomes more valuable as the stock price declines. You can buy 100 shares of XYZ stock at $45 per share and simultaneously exercise your put option to sell XYZ at $50 per share, netting a profit of $100 ($500 profit on the stock less the $400 option premium). You can sell your put option contract, collecting the difference between the premium paid and the premium received, $200 in this case. If, however, the holder has chosen not to act, his maximum loss using this strategy would be the total cost of the put option or $400. The profitability of similar examples depends on how the time remaining until expiration affects the premium. Remember, time value declines sharply as an option nears its expiration date. If XYZ prices instead had climbed to $55 prior to expiration and the premium fell to 1.50, your put option would be out-of-the-money. You could still sell your option for $150, partially offsetting its original price. In most cases, the cost of this strategy will be less than what you would have lost had you shorted XYZ stock instead of purchasing the put option, $250 versus $500 in this case. This strategy allows you to benefit from downward price movements while limiting losses to the premium paid if prices increase. This introductory information should be read in conjunction with the basic option disclosure document, titled Characteristics and Risks of Standardized Options, which outlines the purposes and risks of option transactions. Despite their many benefits, options are not suitable for all investors. 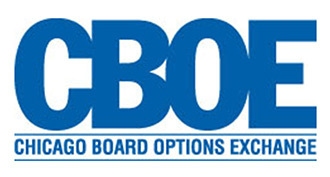 Individuals should not enter into option transactions until they have read and understood the Options Disclosure Document which can be obtained at www.cboe.com. Options allow you to participate in price movements without committing the large amount of funds needed to buy stock outright. Options can also be used to hedge a stock position, to acquire or sell stock at a purchase price more favorable than the current market price, or, in the case of writing options, to earn premium income. Whether you are a conservative or growth-oriented investor, or even a short-term, aggressive trader, your investment advisor can help you select an appropriate options strategy. The strategies presented here are the most basic strategies and can serve as building blocks for the more complex strategies available. Despite their many benefits, options involve risk and are not suitable for everyone. An investor who desires to utilize options should have well-defined investment objectives suited to his particular financial situation and a plan for achieving these objectives. The successful use of options requires a willingness to learn what they are, how they work, and what risks are associated with particular options strategies. Armed with an understanding of the fundamentals, and with additional information and assistance that is readily available from many brokerage and online firms and other sources, individuals seeking new investment opportunities in today's markets will find options trading challenging, often fast moving, and potentially rewarding.